This will mobilize the optimum density of Regional Air connectivity traffic movement bringing the smallest cities and tourist destinations on the Civil Aviation network of India. India is setting new footprints in the Civil Aviation Industry by promoting Regional Air Connectivity Scheme to facilitate and stimulate regional air connectivity by making it affordable to every citizen across the country. This will mobilize the optimum density of Regional Air connectivity traffic movement bringing the smallest cities and tourist destinations on the Civil Aviation network of India. With such a focus to tap the untapped Regional Air Connectivity potential - Prabhatam Aviation Pvt. Ltd, one of India’s leading air carrier service provider has taken a formidable foot forward to commence point to point regional air connectivity through a deducted fleet of Aircrafts that will connect smaller town and cities in Madhya Pradesh which has been conferred by MPSTDC, Govt. of Madhya Pradesh. Prabhatam Aviation Pvt Ltd has been a front line air carrier service provider having its own fleet of advanced fixed wings aircraft that will fly pilgrims, tourist, NRI’s, HNI’s political luminaries, bureaucrats and corporate barons besides masses and classes to various tourist destinations, pilgrimage places besides a host of other tourist attractions in Madhya Pradesh. Honorable Prime Minister Narendra Modi has laid down crystal clear mandate for the Ministry of Civil Aviation to promote affordable and easily accessible regional air connectivity network through its newly launched UDAN Scheme under which the core idea has been “to get those who wear Hawai chappals on to hawai jahaj,” Prabhatam Aviation has made every single endeavor to fly on a RCS air connectivity corridors both within Madhya Pradesh and outside putting the heart of incredible India on the world tourist map. Mayank Gupta, Director, Prabhatam Aviation has emphatically stated that our Regional Air Taxi Service in Madhya Pradesh will not only catapult the Regional Air Connectivity Traffic to the lesser known cities and tourist destination in and out Madhya Pradesh, but the air fares will also be worked out in a cost effective manner, so that every citizens can easily fly in our regional Air Taxi Service frequently. 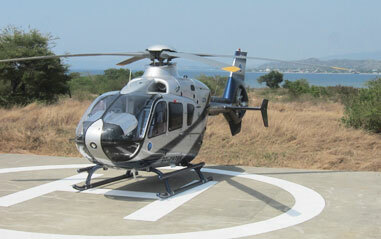 Amongst other services offered by the advance fleet of Prabhatam Aviation Helicopters, some amongst the many include Air Taxi, Air Ambulance, Security and surveillance of power transmission line and pipelines, home land services, insecticide spray and heli skiing fostering adventure sports tourism.